Big Red Car here in the glorious ATX where the weather is perfect and the azaleas are in bloom. Click on the photo below so you can see it in a larger scale. Azaleas are a little finicky in the Austin soil which tends to be alkaline and not quite acidic enough for perfect conditions. This is true for both azaleas and magnolias. Also startups? Of course, this just tempts The Boss to plant, you guessed it, azaleas and magnolias. The picture above, in the background, shows azaleas planted under a magnolia tree. 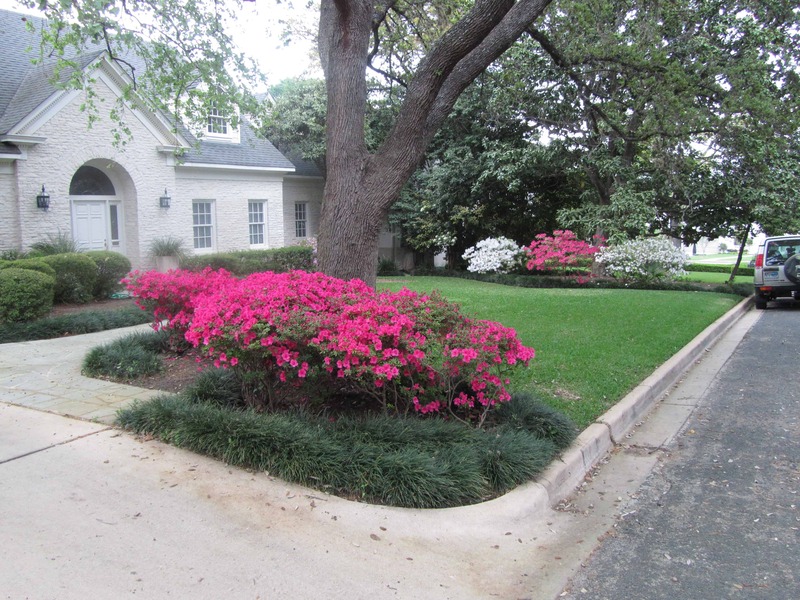 The bloom of the azaleas coincides with Easter in Austin. Some years they are a little early pinpointing Spring Break but this year it is Easter. 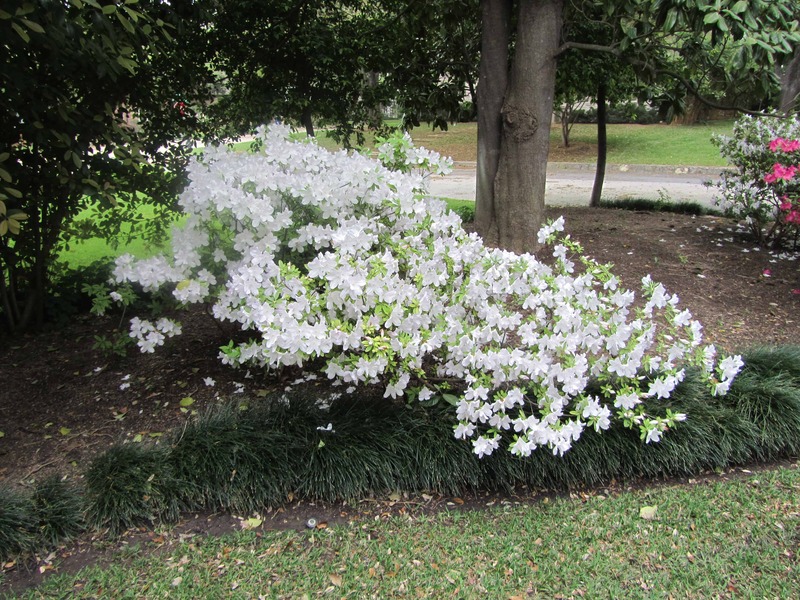 To make the azaleas bloom, The Boss has to acidify the soil using an acidic top dressing, liquid acidifer, a sulphur soil supplement and, when he is feeling particularly energetic, pine straw mulch. It is a labor of love. There are two variations. The first is a tight, dwarf, double bloom variation. You will note in this picture a few things. There is a de rigueur four door pickup truck and a black Lab both of which are issued when you move to Texas. This is a very unusual picture because the truck is banished to the end of the driveway during azalea blooming. It blocks the view. You will also note that a bit of the edge plants committed suicide and the mulching is deficient. It is still early and The Boss has been distracted. The second variation is a full height and full throated Louisiana azalea. These azaleas bloom right at the end of their limbs which invites a bit of pruning to keep them from getting too leggy. You have to prune them right after they bloom as they will only bloom on new wood. If you prune them too late, they will take the next season off. They are very finicky. Azaleas — even when you have to do battle to make them bloom — are one of God’s pleasures. All the work is worth it when they deign to bloom and overwhelm you. It is worth it. In this manner, azaleas are like a startup which requires very special handling and nutrition and sometimes doesn’t bloom but when it does — it is glorious. Good luck to all startups and azalea gardeners. May you both prosper. But, hey, what the Hell do I really know anyway? I’m just a Big Red Car. Happy Easter, y’all! This entry was posted in Advice, Startups. Bookmark the permalink. Didn’t know they were so difficult to grow. I took a picture a couple Easters ago of some blooming azaleas at my brothers house in Houston and figured they didn’t need that much attention. I like a nice lawn, flowers and plantings I let the boss take care of. Houston has the good acidic soil and azaleas are much easier there because it is savannah land — grass land — which is acidic. Central Texas, Austin, is limestone which is very alkaline. Austin is on the verge of the Hill Country. I’m glad you cleared that up. At first sight I thought it was one of the cottages at Augusta. 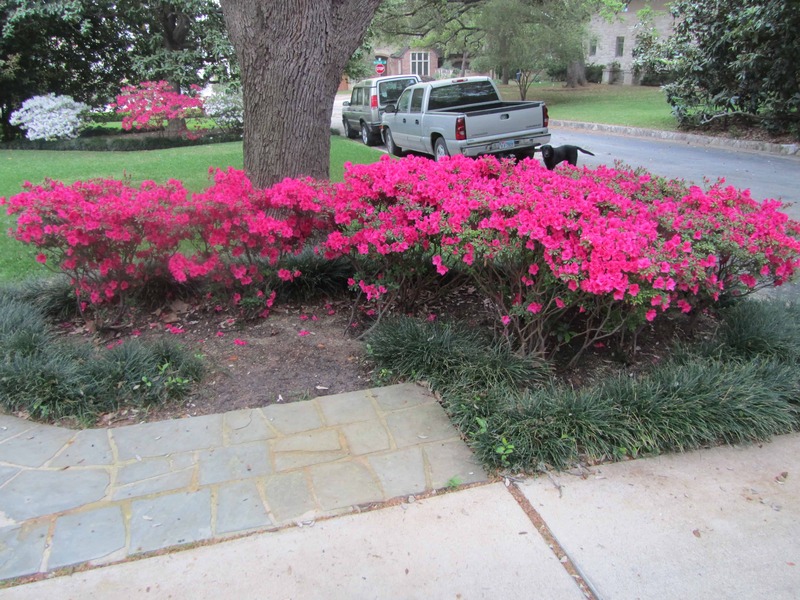 Now those are azaleas but they have perfect water, perfect dirt, pine straw mulch and Augusta! So, mentors are like fertilizers to startups… You need to have the right ones, and not use them in excess? The most important thing is to use them. How about the effect of sun & watering- are these half or full sun seekers? Filtered sun is best. These ones are all in the late afternoon sun which is brutal in the ATX and which requires a lot more water. The azaleas are out in force in the ATX. Come see them. Azaleas are very difficult to grow, like a startup.